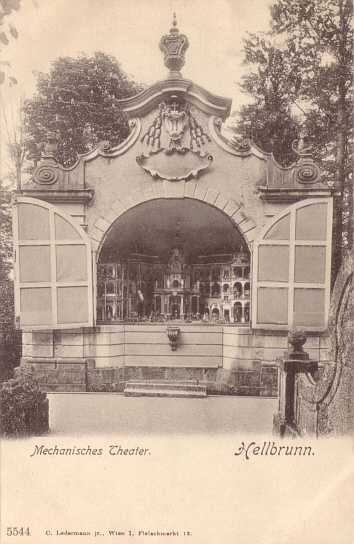 Open-air mechanical "theatre", built 1748-1750 by Lorenz Rosenegger as part of the aquatic gardens of Hellbrunn. 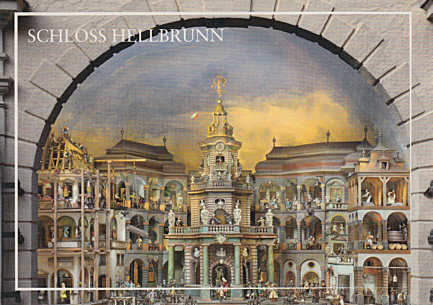 More than 140 moving and over 100 stationary figures depict life in a small town during the Baroque era. 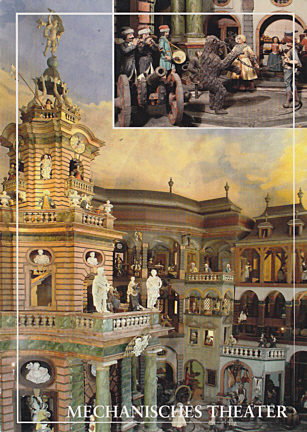 The (mostly wooden) moving figures and a mechanical organ are operated by water pressure. 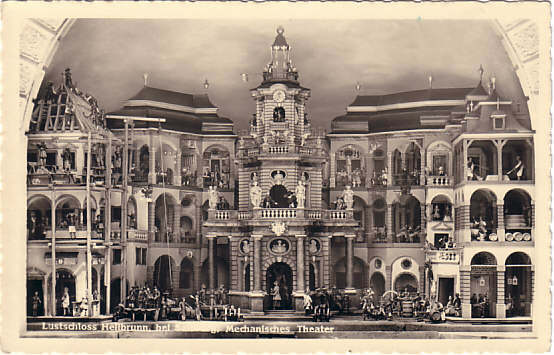 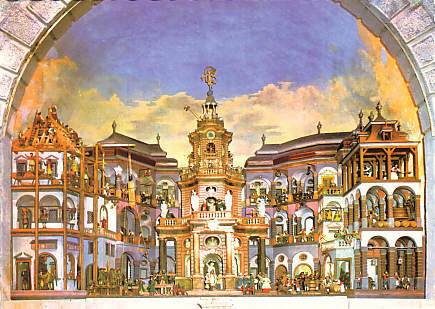 Front Text: "Mechanisches Theater - Hellbrunn"
Front Text: "Lustschloss Hellbrunn, bei Salzburg, Mechanisches Theater"
Front Text: "Salzburg, Schloß Hellbrunn, Mechanisches Theater"